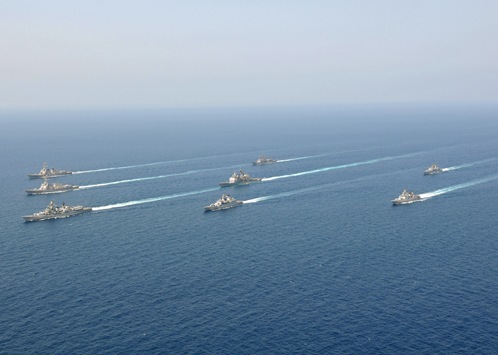 Indo – U.S. joint bilateral naval exercise “Malabar 2010”, was conducted from April 23. 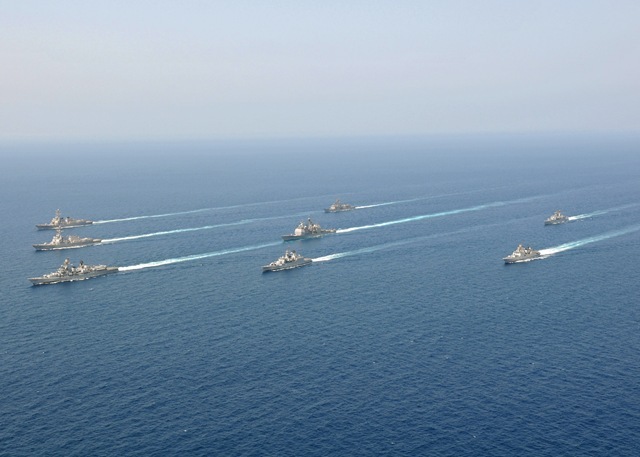 The week long exercise was participated by the ships, submarines and aircraft from the U.S. Navy’s 7th Fleet. Aims to promote the interoperability of both navies. Ticonderoga-class guided-missile cruiser USS Shiloh (CG 67). Arleigh Burke-class guided-missile destroyers USS Lassen (DDG 82), USS Chafee (DDG 90). Oliver Hazard Perry-class guided-missile frigate USS Curts (FFG 38). Los Angeles-class fast-attack submarine USS Annapolis (SSN 760). P-3 Orion aircraft, SH-60 helicopters. Sea, Air and Land (SEAL) special forces detachment. INS Mysore (D 60), Delhi-class guided-missile destroyer. Frigates: INS Godavari (F 20), INS Brahmaputra (F 31) and INS Tabar (F 44). 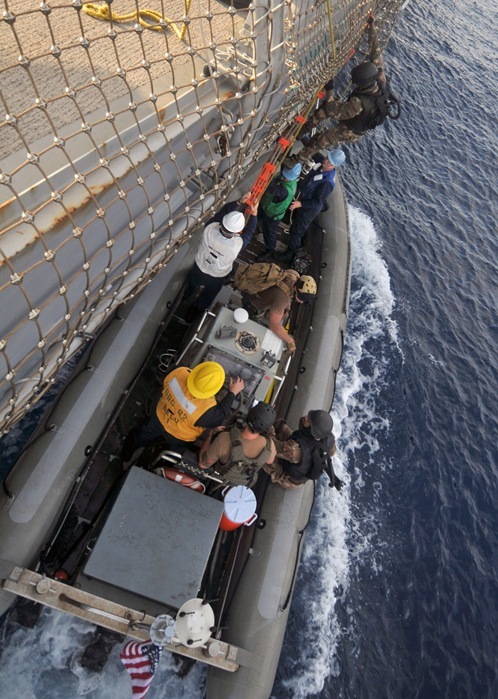 Training conducted at sea includes surface and anti-submarine warfare, coordinated gunnery exercises, air defense and visit, board, search and seizure drills including professional exchanges and discussions between both navies while at sea and on shore. U.S. Navy personnel also participated in a community service project during the port visit to Goa. Sailors from USS Shiloh and USS Lassen painted class rooms at the Bhatikar Model English School in Goa, India. Here are some photographs released by the Commander U.S. 7th Fleet of U.S. Navy. View an interesting video clip: Introduction to the U.S. 7th Fleet. For more details, log on to Commander U.S. 7th Fleet of U.S. Navy.